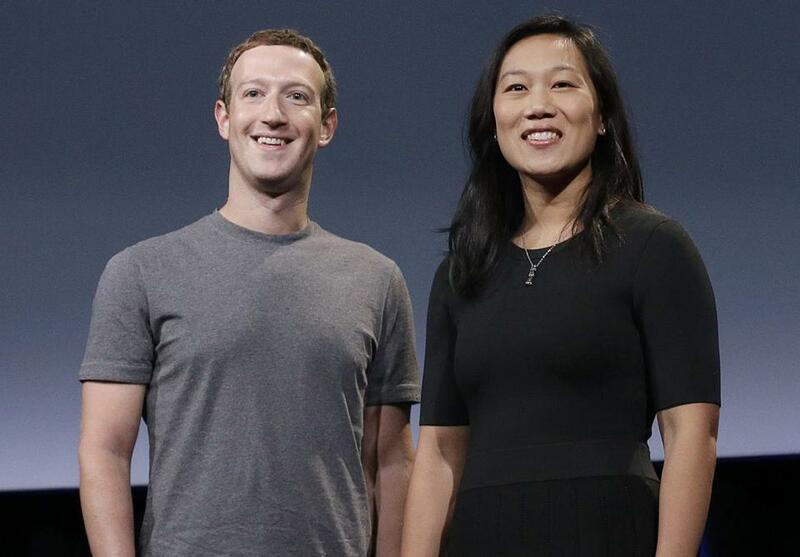 Mark Zuckerberg and Dr. Priscilla Chan. An effort by the Boston venture capital industry to diversify Boston’s largely white technology workforce is attracting new support from Silicon Valley as it expands. Hack.Diversity announced Wednesday that it’s received a $75,000 grant from the Chan Zuckerberg Initiative, the philanthropic organization formed by Facebook founder Mark Zuckerberg and his wife, the physician Priscilla Chan. Hack.Diversity, now in its third year, provides internships and mentoring programs for talented students at community colleges, public universities, and coding boot camps — not the tech industry’s typical Ivy League recruiting grounds. It’s an effort to address two vexing problems in tech: The industry is starved for talent, and black and Latino people are dramatically underrepresented in its workforce. Research in 2017 by the Massachusetts Technology Leadership Council found that black and Latino workers made up only about 3 percent each of tech workers in Massachusetts. It also found some 10,000 open tech jobs statewide. Hack.Diversity is taking on the problem a few dozen people at a time, via internships at big-name Boston companies. Hack.Diversity said all 20 of last year’s participants who sought a job after their internships found one in tech. The program had 32 people total. This year’s class of 50 participants is the largest so far. Sixteen companies are participating, including startups like Lola, established tech firms such as Wayfair, and workplaces where technology plays an important supporting role, like Liberty Mutual. Rose said Hack.Diversity is trying to help companies that are significant employers here to think more creatively about the source of their talent. Rapid7, the security and IT analytics company that has been a part of Hack.Diversity since its first year, said women and people of color will probably make up 50 percent of its workforce within the next few years, in part because of what the company has learned from the program. Christina Luconi, the company’s chief people officer, said Rapid7 has emphasized recruiting from sources such as historically black colleges and universities in recent years, for instance. Rapid7 has also hired three of its interns from Hack.Diversity. Andy Rosen can be reached at andrew.rosen@globe.com.